Today’s post is a guest post by Mike McKerns, SPHR, HR Insights Editor-in-Chief. 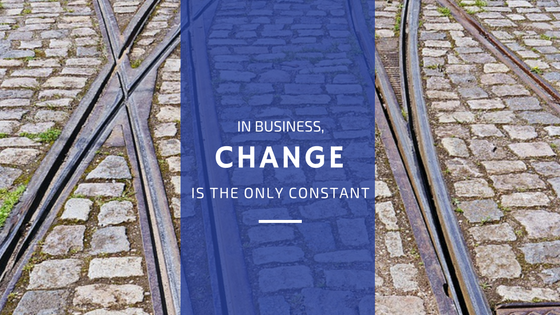 Think about all of the aspects of your business that have changed over the past 20 years. Perhaps you’ve been in this field long enough to remember having to call the local newspaper to post a “help wanted” classified ad for you when you had an open position. Or maybe you remember when your sales team’s primary method of generating leads was the good-old-fashioned “cold call”! Fortunately, new technologies have revolutionized how those tasks are handled. Today, recruiters can post job ads themselves with two minutes of typing and a few mouse clicks. And although cold calls are still around, they’ve largely been supplanted by new outreach methods, such as social media, corporate websites, online social networking, and new forms of print media (such as branded magazines). Read more articles from HR Insights and receive future issues directly to your inbox. Now think about how the industry has addressed other types of challenges in just the past couple of years. In addition to the usual advertising of open positions and working on new ways to generate leads, companies also have to deal with the current talent shortage and increasing rates of staff turnover. No matter what industry they’re in and what challenges they’re facing, organizations need to be able to handle change. Staffing: Where will you get your people—and can you get them when you need them? Operations: Operational efficiency lies at the heart of a successful business. Culture: A strong, unified corporate culture is critical to a company’s success. Have you done a culture checkup lately? Leadership: Great leaders who know the market well often have instincts that let them predict trends and outcomes. How can you develop your leadership, either by cultivating current members of the company or by bringing new leaders on board? Obviously, no one can predict the future. But with some thoughtful self-analysis, research, and open-mindedness, you can make some progress toward anticipating what will change and knowing ahead of time how to adapt to it. Advanced Resources is prepared to help your organization deal with change by recruiting experienced and skilled professionals to fill your temp, temp-to-hire, and direct hire staffing needs as well as offering strategic workforce solutions to help your company thrive. Learn more at www.advancedresources.com. Mike McKerns, SPHR, is the editor in chief of HR Insights and cofounder of Mamu Media, LLC. He can be reached at editor@mamumediallc.com.